Gerhard Vivroux was born on 1 February 1923 at Einsiedlerhof near Kaislerslautern. Vivroux was a founding member of Sturmstaffel 1, formed to combat the increasing Allied four-engine bomber threat, operating heavily armed and armoured Fw 190 A fighters. Gefreiter Vivroux joined the unit at Achmer on 19 October 1943. On 4 March 1944, he participated in the interception of a formation of USAAF B-17 four-engine bombers near Neruppin that were targetting Berlin. Unteroffizier Vivroux succeeded in shooting down a bomber near Rhinow for his first victory. By the time Sturmstaffel 1 was disbanded at the end of April, Vivroux had five victories to his credit, all USAAF B-17 four-engine bombers.  With the disbandonment on Sturmstaffel 1, Vivroux was transferred to JG 3 where he was assigned to 11./JG 3. 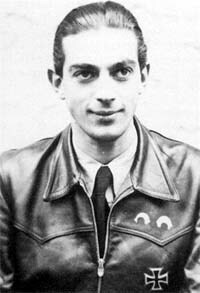 He continued his success against the Allied four-engine bombers when he shot down another USAAF B-17 on 12 May 1944. However, his Fw 190 A-8 (W.Nr. 170 259) was hit and he was forced to bail out. He was wounded in this engagement. Feldwebel Vivroux returned to front-line duties by August, fully recovered from his wounds. By September 1944, Vivroux had transferred to 14./JG 3. On 27 September, he shot down a USAAF B-24 four-engine bomber and an escorting P-51 fighter to raise his victory total to 11. On 6 October 1944, Vivroux was severely wounded by defensive bomber fire. Despite his injury, he was able to make a belly landing in his Fw 190 A-8/R2 (W.Nr. 682 192) at Alteno airfield. He died from the effects of these wounds on 25 October. Gerhard Vivroux was credited with 11 victories. All his success was achieved over the Western front and included 10 four-engine bombers.